Studying for the NCLEX can be one of the most stressful times for anyone. And I want to help you by share some tips, and resources I used when preparing for my NCLEX exam. There are many methods to studying for the NCLEX and every person is different in the way they study, learn, understand, and apply knowledge. This article focuses on studying tips and resources as well as my own NCLEX-RN journey, which I feel will help lessen the anxiety that comes with this life-changing test. Now as a recent graduate from nursing school in December of 2015, I chose to take my NCLEX exam one month after graduation. I was able to pass my NCLEX exam on the first attempt after 77 questions! Statistics have shown that individuals who test within two months of graduation have a higher chance of passing. Now, no that doesn’t mean that immediately after two months you will fail. It’s just easier when you still have the fresh knowledge and study habits from college. I hope that these studying tips and resources will help to ease some of your stress and anxiety, and good luck on your journey in becoming a nurse! 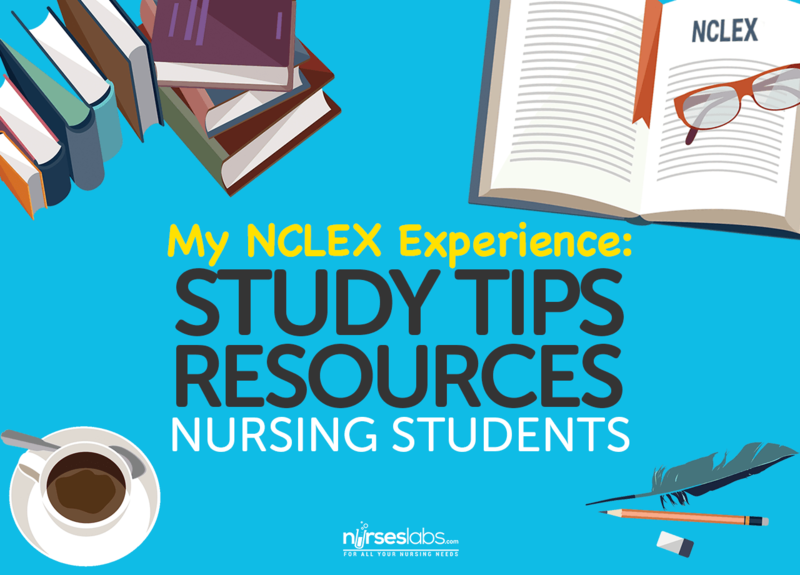 In preparation for the NCLEX, I have some study tips that I hope will be beneficial for you. For some, there is nothing worse than trying to studying for a major test such as the NCLEX. The study process can be simplified using these tips that can help you form a solid environment that is conducive to learning. Remember to create a study plan that is specific to your learning style and one that will work for you as you prepare for your exam. Study in a quiet and peaceful environment. Make a study schedule that you can realistically stick to. Focus on your weaker areas first. You need to understand the the concept not memorize the information. Limit distractions (e.g., silence your phone). Take short breaks to refresh your mind and body. Don’t neglect yourself. There is nothing wrong with taking a day off from studying to have some fun and just relax! Listen to soft classical music (this was pretty soothing for me). I prepared for my NCLEX using multiple resources that I now want to share with you. These resources were beneficial for me and I trust that they will be very beneficial for you as well. I personally believe that using multiple resources while studying helps to expose you to a vast array of NCLEX style questions, that in turn will help prepare your mind for the actual test. All of the resources I listed were personally used by myself during my NCLEX exam preparation and I highly recommend looking into them. This was a personal favorite of mine. PassPoint is a great resource when studying. They offer adaptive NCLEX practice exams that are formulated to mimic the real NCLEX. You can select how many questions you would like to have ranging from 75-265. PassPoint formulates a mastery score for you after completing the exam, as well as rationales for each question. It is great to aim for a mastery level of 6-8. In preparation for my exam I took 13 practice exams, which totaled to over 1400 questions. Hurst is a great review course for anyone who wants to solidify their knowledge and have some extra help on any area they may be weak in. 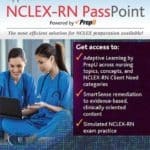 I chose the 3-day live review that comes with 30 day access to the course material as well as six practice NCLEX exams. Hurst is a really good value and the live review was helpful. They offer you smart ways to think about situations, how to break down the questions and how to think “Nclexy”! 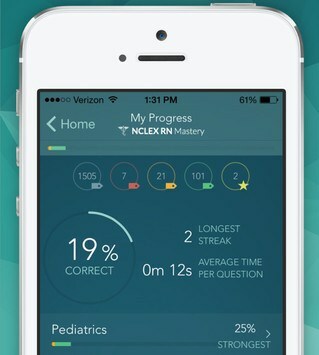 The NCLEX Mastery app is a great way to study questions on the go. The full version of this app is $29.99 and comes with over 1800 questions. You can take practice quizzes in all nursing areas, as well as review common lab values. This app also keeps track of your progress, includes detailed rationales, a list of your stronger or weaker subjects and custom alerts that will remind you to do a daily number of practice questions. Nurseslabs.com (that’s us!) 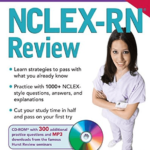 is an excellent resource as well when studying for the NCLEX. 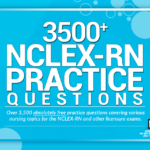 Practicing NCLEX style question is very important and Nurseslabs as a database of over 3,500 NCLEX practice questions for FREE! I personally used these practice exams as I prepared for my NCLEX. There are a wide range of topics to select from and I highly recommend using them as a study resource. These exams will help you sharpen your critical thinking skills so that questions appear familiar during the actual exams. One thing to remember is that the NCLEX is subject to change, possibly in April of 2016. Make sure to brush up on the new guidelines and testing areas. For my exam it was very heavy on delegation and prioritization questions. The NCLEX ultimately looks to see if you will be a safe, responsible nurse who can take care of your patients. Remember that in the NCLEX world the only patient you are taking care of is the one on the screen. Make sure you know what tasks as an RN you can delegate as well as who would need to be seen first during shift change. Another thing to remember is that the NCLEX is arbitrary, and not everyone will be given the same number of questions or be tested on the same material. If you focus, believe in yourself, and give it your all you will be successful! My name is Jay Nichols, a BSN graduate of University of South Carolina. During my undergrad study I was very active in SNA and served as the Community Health Director for SNA-SC. Upon graduation, I moved to Minnesota to pursue my first nursing job in the ICU at the Mayo Clinic. I plan to further my education and become a Certified Registered Nurse Anesthetist! My hobbies include traveling and spending time with my family and friends. I hope to share my experiences as a new graduate, and ICU nurse here on Nurseslabs and be able to provide encouragement to individuals that are interested in nursing.